Truck driver Jason White is used to seeing caribou — just not this close. 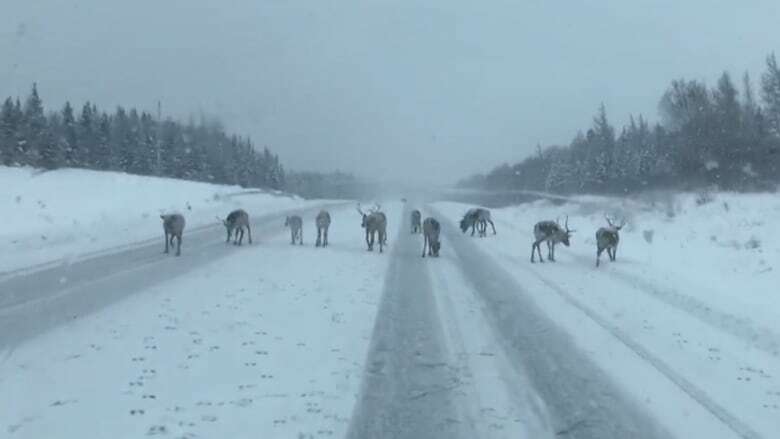 A trucker says he may have had a close encounter of the Santa kind after spotting what appeared to be Santa's reindeer on a snow-covered Newfoundland highway. 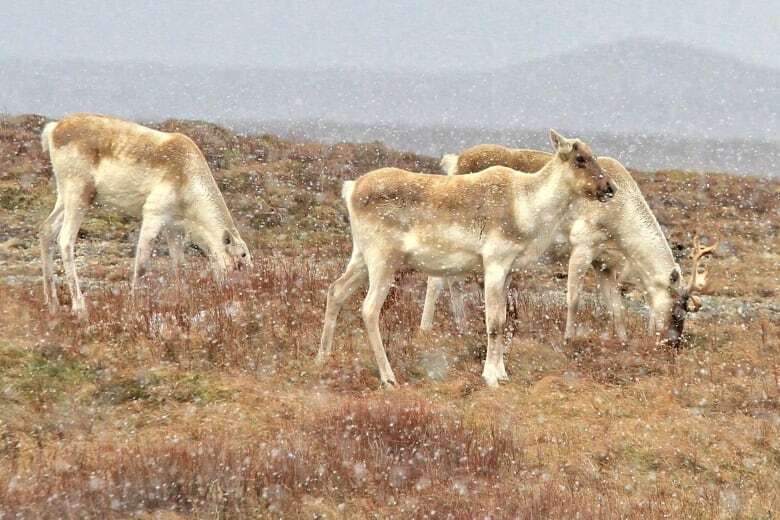 Jason White says a herd of about a dozen caribou were stopped on the Trans-Canada Highway, a light snow falling around them, near Deer Lake Thursday morning. "We usually see a lot of moose, but that's the first caribou I've come across, especially in herds," he said Friday morning. White, a delivery driver for Ice Block of Conception Bay South, shot a video of the herd and posted it to his Facebook page so he could show his children — especially his young son, who is almost two years old. By midday Friday, the video had been viewed about 3,800 times on social media. White said in the post he thought Santa's reindeer may have been lost on the west coast of Newfoundland. "That was the first thing I thought. I've got three kids and my youngest is almost two years old, so Christmas is kind of reborn again. So as soon as I saw them I said 'Oh my gosh, I gotta get a video of this,"' he said. White said there was no other traffic at the time, so he was able to get close. He said his little boy was thrilled to watch the video. "I had to play it for him about 10 times last night when I got home from work." White said he's been overwhelmed by the reaction to the video and says some local parents are making sure to show their children. "A lot of people are showing their kids and telling them you gotta be good because Santa is close … his reindeer are here."